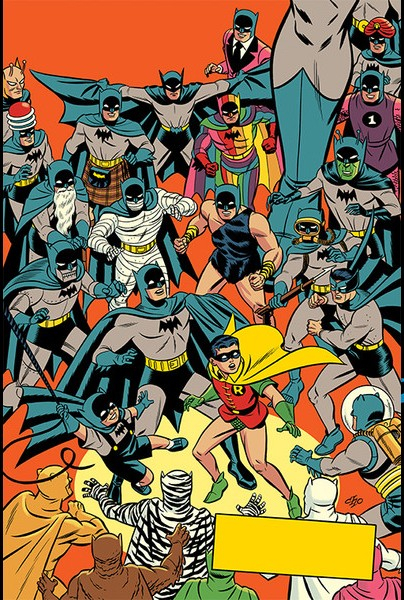 For 26 issues it was a crime comic, then in issue #27 the Bat-man created by Bob Kane, who would eventually become Batman. The Dark Knight, The Caped Crusader, World’s Greatest Detective, one half of the Dynamic Duo, one half of World’s Finest and 1/3 of DC’s Trinity. Detective Comics the title that brought us the journey of Bruce Wayne (yes there were many others, but I always liked how Detective Comics kept to a more espionage-mystery feel in their stories). Today the 1,000th issue came out. A great collection of short stories touching on what is the theme of Batman from great writers past and present. Paul Dini, Tom King, Scott Snyder, Denny O’Neil, Warren Ellis, Brian Michael Bendis and others (yes I realize it is a visual medium and I focus on writers, but it’s my jam). What are the themes of Batman? A cursory look at the hero that in the past has killed sometimes actively or passively, a solver of mysteries, a beach head against the insanity of Arkham, and the darkness that is Gotham City to Metropolis’ light. What is the mission of Batman however? Did he truly lose himself in Crime Alley when his parents’ were murdered before him? Did Bruce Wayne die that night? The truth is a journey. A journey to replace, no, renew and discover the new with what you have lost. Post Traumatic growth if you will for the Dark Knight Detective in renewing a new family for him. What happens when the helper needs help? For over 20 years Ty Ragan served his neighbour from the rough camps to the shelters to home and every where’s in-between. The simple life lesson of Jesus of Nazareth to love your neighbour as yourself was the centre question to be answered in his life. In May 2016 his life would begin to change drastically through unknown seizures and strokes. Enter into the ripples that brought him to 2016, the transformational power of love of family and friends as he seeks new ripples in hope for his soul. BED BUGS! Feel it. That uncontrollable desire to itch or scratch? Don’t hide it. I know you did. I spent years being the go to in infestation control for multiple buildings. It is a creepy feeling. I have seen infestations so bad that there was a symbiosis created by tenant and insect, to the newest ones that are picked up in life transit. 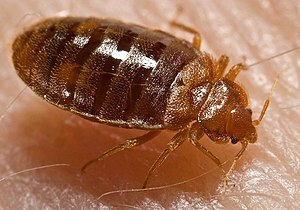 We have all heard the news reports of the explosions of bed bugs on airplanes, in churches, movie theatres, low rent motels, high rent hotels, and schools. These are travelers, see bed bugs are searching for hosts. They love our carbon dioxide. The ones in public spaces are seeking a person to take them home. There is so many because 1000’s can literally be born in days. The female bed bug is impregnated by thousands of mates all at once, and births the babies in a cycle. They are translucent until they feed. There source of food? Us. If there is a huge infestation, and they cannot sufficiently feed I have seen situations where they will feed on a pet, but usually a pet in used as a public transit mechanism for them to go to other places and spread their colonies. By what are they making a comeback so strongly in Canada? Well, we had them obliterated, unfortunately the chemicals used to wipe them out were also wiping us out via carcinogens. Dang it. By mechanical function how early an infestation is detected states how many sprays are needed (minimum usually two). If you rent, the landlord in Alberta is responsible for footing the bill for the spray (sorry homeowners, its on us for our own). The responsibility of the tenant (and the infested if you own) is to promptly follow through on all instructions laid out by the pest control company to ensure the efficacy of the sprays. Appears very simple. One notes like the picture above or less and calls in; or has noted 3 clustered bites (breakfast-lunch-dinner)together resembling small or large mosquito bites and calls for pest control (keep in mind not everyone shows bites, for the bite showing is an allergic reaction so you can be being feasted on and never even know it, it is why in communal living like hotels, condos, and apartment blocks random inspections help by trained pest control). Yet this is not a simple carpet beetle infestation where carpet replacement or vacuuming will cure, or flour beetles that require cleaning and food disposal. This is a very intimate type of infestation and that can be missed is that part of the process is mental health supports. Sadly in 2013 in Montreal, a gent with pre-existing mental health conditions completed a suicide due to recurrent Bed Bug infestations. Though I can attest one does not need pre-existing mental health or health conditions to provide an unkind end. Bed bugs get in your most intimate spots–truly. They disrupt sleep. They interrupt sexual relations. If you talk to others about it, they recoil and stigmatize you. See we assume bed bugs equate to dirty lifestyle or living. That is a fallacy. Bed Bugs are seeking food (us), they do not care if you are a hoarder or a minimalist, hospital clean or junkyard mucky, young, old, senior, Millennial, wealthy or poor. They just want your blood. One would then think, well treatment happens it ends right. No, it does not, one is encouraged not to abandon their resident during treatment cycles as you are literally the bait to contain the infestation. Best case scenario, after two weeks it is free and clear with maybe a lingering of psychosomatic itchiness. Worst case scenario, multiple sprays and many if not all belongings disposed of to ensure reoccurence stops. Literally losing one’s life (material, or completed suicide). What can this do? Lack of sleep is never a good thing for the human body. Isolation due to stigmatization is never a good thing. Fear of an area of the house (usually happens with where you sleep), but can happen with the whole residence. During treatment cycles, prep, stress, already existing mental health concerns can be exacerbated or new ones can be created: panic attacks to psychotic breaks are not out of the realm of possibility for a rather mentally healthy individual (recurrence after treatment has also been termed Post Traumatic Bed Bug Stress Disorder). For addictions, they can get worse and reach crisis levels, most prevalent being gambling, alcoholism, and drug use. One can also become more open to addiction symptoms to deal with the stress and trauma of the infestation. Sadly as well, pre-existing domestic violence can increase rapidly around this as the infestation can become the focal point of rage and blame. Knowing that inspection brings people into one’s sanctuary (home); treatment brings others into the sanctuary and tears it apart; living with the buggars has its own terrors. Is it any wonder that mental health is something that needs to be navigated, acknowledged, and treated during and after this time? If we ignore it, we are simply ignoring what is right for our neighbour and ourselves. Best pest control company I have worked with in Calgary is Martin’s Pest Control. As was written previously, anyone following any form of news media can see the political long knives are coming out for a blood bath in the 2019 provincial election. The UCP anger machine and NDP anger machine are in full throttle. Both are arguing over that Alberta Advantage, well, let’s take a look back from a perspective on life since the Klein era “common sense revolution”. The fact that this era normalized addiction, and no it was not because our Premier was a known alcoholic it goes deeper than that. This is not a debate about abstinence vs. harm reduction methods or safe use sites or methadone, etc…all those things work dependent on the chemical dependency. No, this is exploring how the drive to privatize normalized addiction for a province as a means of funding public services. I note privatization, for it is the time period when registries, driver tests and liqour stores all went private. Short-term money makers, long-term impact. I still remember being in high school and knowing if the bars ever started IDing I would just have to walk into a registry with 50 bucks to get a legitimate ID with a false birthday. (There is much controversy recently with the Government taking driver testing out of private hands, but there has been many rumours and proofs that it is a necessity for road safety). Although as I moved into sober living, trust me it is a challenge as a writer or to be involved in politics alcohol free. The privatization of liqour stores led to an explosion in neighbourhoods where literally I believe in the properties here in NE Calgary we have one in every strip mall. The more private retailers meant it was more easily accessed, and flowed more easily to all age groups. Also saw more of a prevalence in checkstops, as drunk driving has become a plague in Alberta. Also though many excuses are given due to the ebb and flow of oil and gas and the Alberta economy for the reason behind high rates of usage, and domestic violence. But I liken these excuses to what the courts have ruled in the drunk defense for assaults and sexual assaults, it is not a get out of jail free card. We have built a province where it is acceptable to drink, where we actually don’t truly look down on the functional alcoholic that can still hold it together it is a communal reflection we need to look at in the mirror. The more alcohol used, the more money went into government coffers in “sin” taxes. It goes hand in hand with the rise of other chemically dependent crisis whether it was crack, meth or fentanyl, all a way to dull the pain, a symptom of covering up the hidden pains as we push forward with the fallacy of the Protestant stiff upper lip cultural toxicity. Due to the high cost of living for those below the upper-middle class cut off, what became normalized was a forced or adapted workaholicism. That is for some households it was multiple jobs for all involved to keep themselves afloat, or for one person to maybe white knuckle through recovery of another addiction to simply push forward keeping themselves busy. As the Third Way of health care wrecked havoc on things like P3’s for extended care, it meant many having to put in 3-5 years of work in a year span to simply cover the cost for their loved ones. But we grinned proudly to the world for looking at the hard working folks of Alberta. As our infrastructure like schools, hospitals, roads and non-profits crumbled we got a “blessing” from the government. Or it is one that some have stated to me in spiritual centres, non-profits or schools (and hospitals). Proceeds from gambling. Whether it is lotteries, or casinos that non-profits can staff to reap the windfall from. It is putting out there that the responsibility of supporting things for the public good fall upon those things that can cause the most harm. It places non-profits in a position to wrestle through the ethics around taking money from what can be addiction fueled industries to fund their efforts in making a better world. For parents in a parent council, it lays out the challenge of needing to reflect on one’s own ethics and values for participation in a society’s that government has deemed simple things as computers, libraries and upkeep need to fall into fundraising initiatives and things such as Casino revenues. Is it a blessing? Or is it simply a way to place a placebo happy sticker over an initiative that may be fun for some, but detrimentally harmful to others? A simple way to say “hey we care, look you can access this…” but not caring enough to actually direct appropriate funds. The Calgary Board of Education would scream that the loss of their ability of School Fees is why they have shortfalls, totally ignoring that Education Minister Eggen and Alberta Education had made up those shortfalls in their budgets. I could see the same screaming happening if the ability to use the addiction industries for funding were lost. But here’s the challenge, what happens if we were to remove that funding stream and create appropriate government grants? What if we curtailed the availability of some of these forms of addiction? Would the need for services decrease? I do not know. I do know as we head into the election, it is a discussion that needs to be had policy wise. Especially within a province in the midst of economic transition. It creates an uncertain space for many, where old industries are vanishing, new ones are coming in, cultural norms and economic norms are changing. It is a grief cycle our province is in, each of us at different points. Each point opens up a risk factor to addiction to null the pain, and if we place the onus on funding on those nulling agents, we are creating a cycle of pain that we may not escape from. Ask questions. Discuss ideas. Think of all citizens. Create a province we can be proud of. Vote in 2019, not strategically but for what you value. What was the Alberta Advantage? Ah longing for days of yore. When Alberta became “debt free”, and “King Ralph” reigned as Premier. It is amazing though what is forgotten within this reminiscing. As we gear up for probably the dirtiest and nastiest Provincial Election in 2019 between the entrenched ideologues United Conservative Party (Official Opposition, supposed government in waiting) and the New Democratic Party (the governing party); perhaps it is time for an old journo and politico to dust off the highlights of this era for the non-wealthy that we seem to have forgotten. The market and privatization are better than government and public sector. trickle down economics works (that is the failed belief that when the wealthy are wealthier, the poorer become richer). The government costs per citizen were out of control, when in fact when the costs per capita were adjusted appropriately for inflation it was shown that costs had risen negligibly in the era of the P.C. Governance of the province. This was the era of rapid emigration from other provinces to Alberta for “jobs” while failing to remind folks that the jobs that were growing were unskilled labour, or minimum wage jobs that required 2-3 to make ends meet and hopefully break even. The flat tax era. This is a stepping stone many point to as needed for wealth, but were we the lowest taxed in Canada at this time? Well, let’s look at the shift that happened with the flat provincial income tax. Public Services entered the era of the “user fee”; which is essentially a government tax on services that one is not able to recoup if they fall behind a certain wage line. Such users fees introduced were for public education; public health care (ah the wonder of the monthly levy); libraries; and anything else that a fee could be attached to. Also saw divestment from community public schools into more government funding for private and charter schools. A system created for funds to follow the child wherever they went. Sociologically the effect created a stratification between the have and have nots, but also removed the backbone of why public education creates a healthy society– that all socio-economics and cultures/religions of an area go to school together. The de-regulation of public utilities. Following California’s idea that private industry could do utilities better than the government which is bullocks. There is no way to effectively privatize utilities for cost that would benefit the consumer, possibly if all companies were on hand at the build and owned the supply and the lines, but we are a bit beyond that. While many in urban areas (rurally is another issue) complain vehemently about the Conservative idea of the implement Carbon Tax under Premier Notley they have missed the biggest levies costing families money on their utility bills. That is all the regulatory and supply fees that have grown costs exponentially. Oh, and the grand King Ralph de-regulated even after California announced failure with the experiment. The rise of control of public discourse. Government was wielding a big stick in this era. I remember them threatening to and pulling funding from arts programs that put on shows or plays they did not agree with. The biggest spectacle made of trying to shut down the play “Angels in America”. But the censorship of ideas did not end there. With the rise of a more Americanized public education system (which the idea of funds following child is actually from the Democrats I believe), came the concept of the banned book list. The removal of teaching history and context with literature, and that which offended could be shunted away. Things from Dickens, Shakespeare, Twain (and yes even me) were all put away for various reasons. The updated banned literature list was released each year on the first day of “Freedom to Read Week”. if you could not pay school fees and your child was 16 the school would “drop them out”. Unskilled labour and rig work targeted this age group for workers. For those that believed in the Protestant-Work Ethic narrative our parents told us about getting through school on to tech school, college or university then great work. What met us was a crisis of out of control tuitions and costs that burdened Generation X and Millenials with a crushing debt before even entering the living wage career field. Elimination of tiered minimum wage (used to be from 16-17 you made $4.50/hour, at 18 it went up to $5/hr). The legal age to work in the province (not talking flyer force or newspaper route, we are talking service industry) was lowered to 12 years old (yes we proudly brought back child labour). It was also during this era that something wonderful could have happened. The government seeing the success of the Waterloo model for ending institutionalization of persons with disabilities and mental health issues and moving them with appropriate housing and supports into communities. Unfortunately due to the faux crisis the government created in the minds of Albertans, what happened was only step one–the closure of institutions; and a rapid increase of complex individuals into homeless shelters. Oh and homelessness? It became a crisis in the “Alberta Advantage” and “Wealthy Alberta” for years there was not a year that did not go by where the government did not declare states of emergencies during winter months due to the imminent threat of loss of human life. Alberta Works (Welfare) was also used in the austerity crisis as a weapon. There was a meta-narrative crafted that people were scamming the system to not have to work. The concept of the “lazy welfare bum”. What was not spoken of was that the rental portion of Alberta Works for a single up until 2012 was $183/month; in 2012 it was increased to $323/month (where can one rent?). This was deducted from the cheque for a single that would not exceed $700/month approximately, if they were lucky to get medical it would increase to $900. Yes, part of the system was medical covered which was nice. It was also the era that saw the Alberta Income for the Severely Handicapped (Premier Redford, the 3rd last P.C. Premier brought in a nice raise for this monthly entitlement to up it to $1588/month). It was not until Notley’s government that much of the red tape was cut away to allow easier access. Unfortunate is that it is designed for those who should not be working, but it has built in mechanism for work to top up income. They say there was a building boom. Yet chronic of homeless increased as the motels/hotels/trailer parks they would have lived in shut down for condos, and houses. Businesses pushed a building boom for new spaces and moved around, leaving old empty. We talk of a crisis of vacancy now, but it was always there just hidden through the constant moving around. Building was happening, but not out of necessity. Federally and provincially, funding stopped for affordable housing for those in need. We did not plan for the fact the generation governing at this moment, and the biggest generation- the Baby Boom would be aging into seniorhood. In fact, we know how badly seniors were screwed over by the Klein government (and every government since); thanks to the bravery of whistleblower Kevin Taft’s book Shredding the Public Interest that showed how we used to care for our elders and now, well we leave them to their own devices in a lot of ways. It used to be complete coverage, now it is Blue Cross cost share plans for medical. The sad shell-game of removal of massive rights of being an elder in Alberta, and the pittance returned preyed on those that built our province in a disgusting and abusive way. I was thankful that my Granddad was a veteran when his emphysema set in and he needed medical help. Veterans Affairs covered everything so we did not have to play these petty Alberta games. (No, I am not a Liberal schill even though those were the Chretien years, I took him to task as much as Klein, I was a working class writer). Ah health care, with the drive being for “privatization” it was a gutting of Pastor Tommy Douglas’ dream that no family would have to go bankrupt to care for themselves. It was also premised on the idea health care is for the healthy, that is like saying life insurance is for the living. Health Care is there when we are in need, the encroachment of privatization, closure of beds, implosion of hospitals, is all being seen in repercussions today with long wait times; lack of capacity for medical whether the be physical or psychological services; continued challenges on long ER wait times, and lack of EMS. Our Aboriginal elders speak of making decisions with forethought on how it affects 7 generations down the line…Rod Love, Klein’s right hand admitted they did not have a plan, less than a generation down the line we are literally suffering on hallway gurneys as a result. The Third Way is a failure, and the fact the NDP has not acted on all the information they have from experts to correct it in this term is a failure as well. Let us not forget our bread and butter industry. Oil & Gas. It was during the Klein era when it left the hands, as Lougheed would say of being Albertans’; and became the natural resource of the multi-nationals. Royalties were plummeted (fallacy of trickle down); and our Heritage Trust Fund, the model that Norway used and whose citizens are reaping the benefits of now, well… it did not turn out so well for us. Find one that resonates with who you are. Get active, even run as a candidate. Personally for my riding I am leaning towards the Alberta Liberals or Alberta Party. But it does come down to me the strongest local candidate (yes they need to be from the area); then what the party stands for; and finally the leader. For remember, members voting on a leader is a function of a system, the actual system allows for caucus (the elected members in the Legislature) at any time to take a vote of confidence in the leader and replace them. That is why it is oh so important you look to your local candidate for credibility and character. As we move towards an election, open yourself up to not only answering what things effect you, but all citizens of Alberta. Think globally, act locally… and vote for a better future not a re-tread of the damaging past that has left us this quagmire. A host of randomness, because, well its my site and my mind lol. NDP MLA Stephanie McLean resigns her seat, though she has been MIA by the sounds of it since the spring session. The Speaker stipulates not going forward on releasing the names of the 2 NDP MLA’s who were investigated for misconduct, a weird start to an election year for the governing party. Kenneygate continues on Twitter with more coming out about non-disclosed/reported donations and donations in kind. Looking at the governing party, and the supposed government in waiting, is it no wonder I am leaning towards Alberta Liberal or Alberta Party for my vote. Calgary-East vote Gar Gar (Alberta Party) a tireless community builder, and investor in the next generation. Edmonton West Henday Vote Leah McRorie (Alberta Liberal) a tireless advocate of humanity, inclusion and disability rights. She is a voice our legislature needs to ensure all Albertans are heard from. Now a shift to pop culture. I must be one of the few Trekkies left on the planet not to see Star Trek Discovery Season 1 (it is on order from my wonderful Public Library). What i have is read the first Discover novel by David Mack, and this past Christmas Season, the two comic collections (some would say graphic novels, but for an oldster like me those were special one of stories while collections were numbered issues brought together as a trade paperback). The first one I read was Succession. What drew me to it was my love of the Mirror Universe. For the uninitiated (or new reader to the site) the Mirror Universe is exactly what is sounds, the shadow reflection of the main Trek-verse. Instead of a Federation, it is a Terran Empire. Succession brings forth the best of the Mirror Universe in all its genocidal glory, originally was a 4 issue mini-series. The collection also had a bonus annual, that was a love story of what brought a scientist (Lt. Statmets) into Starfleet. Not wanting to give any spoilers, but it is Trek at its best. The next was a solely Klingon adventure- the Light of Kahless. A religious-philosophical exploration of the Klingon Empire that has fallen into corruption, and what a dishonoured-minor house can do to redeem the Empire. Exploring the Klingon Monastery on Boreth, and what exaclty the reincarnation of Kahless and his light is for the Empire through main character T’Kuvma. The journey feels like a spiritual-political fable, at times reminiscent of the Star Trek: The Next Generation two-parter, Redemption; and at other times of the Star Trek: Deep Space Nine episodes focused on the clone of Kahless. Solo a Star Wars Story was fun. I know many did not like it, but it was a fun adventure-treasure hunt. What else would one expect from the younger days of Han Solo? Donald Glover as Lando is priceless. Go in looking for a fun movie and that is what you will get. Go in as an over-serious fan-boy, and yeah be bitter. I prefer to love fun. Four episodes into the twisty-turny Netflix series, YOU. Yes, I will be nice and give the trigger warning for those who have ever been stalked this may not be for you. Why? It is the story of two stalkers, both trying to bring out who they believe the main character Beck to be. Don’t want to give any spoilers, but it is done in such a way as good writing is that you feel for the main character, being Joe (think of how Harris humanized Hannibal Lecter). Just some meandering thoughts as we enter 2019…as for Oprah’s Greenleaf in season three, one episode in and I do hope it picks up as it has lost the pinache that made a good show.